“I believe if we move over and let God work through us, nothing is impossible.” Words to live by, spoken by Karen Y. French, Founder, Superintendent and Principal of T.C.P. World Academy, a K-6 Charter School. T.C.P. World Academy was developed and presented to the Ohio Department of Education for acceptance as a Community School by Ms. French. Her desire was to create a loving and caring atmosphere in which her staff and students could be developed. By hiring a diverse staff, Ms. French believed by tapping into everyone’s strengths, sharing the wide-range of knowledge, then synergizing, children would have a better opportunity to receive a top-notch education. 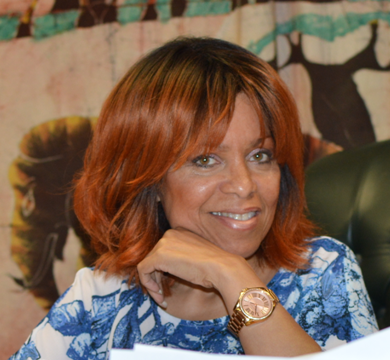 She believed in her God-given vision and guidance so much that she sold several of her own investment properties to purchase the first buildings to house T.C.P. World Academy. At that time ODE did not provide start-up facilities or funding and no commercial property owners wanted to rent to an African-American female with only a plan, a contract, and a few followers. There was no for-profit entity in existence or formed to profit or finance T.C.P. As permitted by ODE, until 2006, Board members could work for the school, so Ms. French gathered a group of citizens with similar concerns for the inner-city children attending failing schools. These citizens included stakeholders with a parent representation, a teacher representation, and a community service representation, as well as future school employees. After jumping through many hoops and overcoming many obstacles, her vision became a reality: Ms. French opened the doors to her first group of students in time to begin the 2000-2001 school year. Ms. French has earned a Bachelor of Education degree from the University of California. After earning her Master of Education in Counseling from Xavier University, Ms. French completed the required 45 post graduate credits in Education Administration to be certified as an Elementary School Principal, High School Principal and Assistant Superintendent. Since opening T.C.P. World Academy, Ms. French has completed numerous graduate math & reading CEU’s and credits from Miami University and the University of Cincinnati and numerous other professional development workshops and courses from O.D.E., SERRC, and SERI, as well as several offered at T.C.P. World Academy. Prior to opening T.C.P. World Academy, Ms. French was an administrator with the Cincinnati Public School system for seven years. She also worked as a Science and Gymnastics Teacher, Counselor, Elementary and Middle School Assistant Principal and as an Administrator in the Special Education Department at the C.P.S. Central Office. In its 18 years of existence, Ms. French has guided her team from humble beginnings, to having reasons to be proud of. By its third year, T.C.P. World Academy had already reached a rating of “Continuous Improvement”. The program gradually moved up to an “Effective” rating in year four, and an esteemed “Excellent” rating in years six and seven, nine, ten, eleven, and twelve. When ODE started a new ranking in 2013, T.C.P. World Academy was one of few community Schools with a Grade of B or better. More recently, in 2014-2015, T.C.P. World Academy was recognized by the Ohio Association of Public Charter Schools as a School of the Year Honorable Mention, and in both 2016 and 2017, T.C.P. received the School Choice Leadership Award. T.C.P. World Academy will continue to strive for Academic Excellence for all students. Improvement doesn’t go without recognition. In September of 2002, Congressman Major Owens and Education Technology Think Tank presented the School District Leadership Award, to Ms. French, along with other superintendents from all over the country, for outstanding leadership within her school district, T.C.P. World Academy. Since November 2007, in recognition of student achievement in reading and math, each year the school has been recognized as a State Superintendent’s School of Promise. In 2010 Ms. French was one of the honorees recognized through art of eight nationally acclaimed professional artists at "Dada Rafiki". The art exhibit and cultural evening inspiration was held at the Cincinnati Museum Center. T.C.P. World Academy is a financially stable school. In addition to achieving academic success, Ms. French has made sure T.C.P. World Academy has continually and effectively managed funds, keeping a balanced budget compliant with State mandates and congruent with T.C.P. World Academy’s mission. “My staff and I are committed to providing a quality innovative educational program to the inner-city child,” explains Ms. French. “I believe, given the right conditions and tools, an exceptional leader, great teaching, superior planning and making learning meaningful, our students can learn. Our goal is to continually improve the academic achievement and character of our students. I am very happy to say, we are doing just that. For the last three years, the percentage of students at T.C.P. World Academy who scored proficient or above in the Ohio state tests has been consistently higher than the state average. Our Kindergarten thru 2nd Grade Students consistently surpass the national average in Reading and Math one grade above grade level on the Terra Nova Tests. From 2002 through 2006, our kindergarten and first grade students surpassed the national average in reading and math. Because their scores were consistently so high, in the 2007 fiscal year we decided to challenge them by giving them the nationally formed first grade and second grade Terra-Nova test. As we hoped, our students scored significantly higher than first and second graders around the nation. Most of our kindergarten students can phonetically decode words and read with understanding. Kindergarten, first and second grade students are taught higher math skills mastering many of the math skills taught in intermediate grades. By the time our kindergarten, first and second grade students reach third grade, we are most often able to see the optimum fruit of our labor.